Raising a loved one with special needs isn’t easy. Being part of a supportive faith community helps! RVRN is blessed to share these stories and expression of gratitude with you. Told in the words of our constituents and supporters, they convey the impact and benefits of our mission better than we could ourselves. 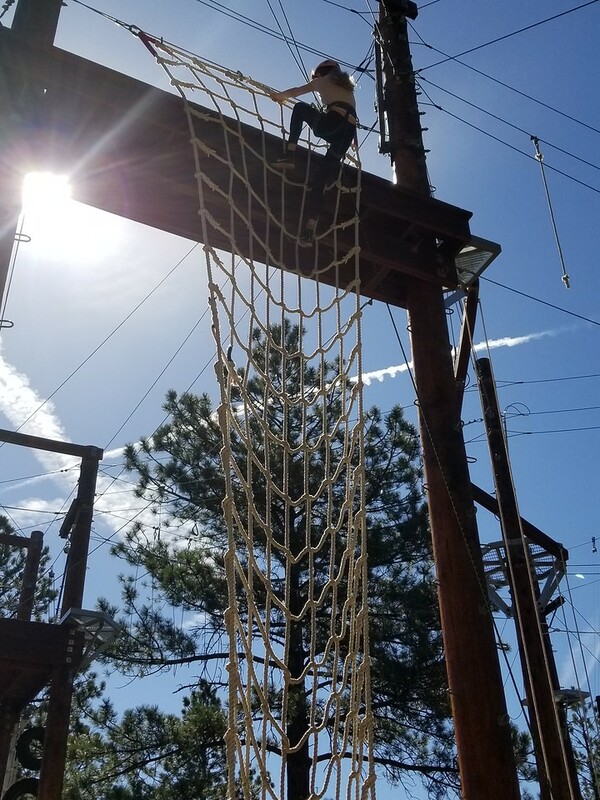 While at 100 Elk our family enjoyed being challenged on the ropes course. Each of us had our own challenges to overcome. Some were simple, some were more complicated. One son loves these types of physical challenges. The joy on his face says it all, as he overcomes any problem presented. God bears him on his way. His sister could not help but notice this. I had to overcome my own fear of balance and height. Knowing God’s “Everlasting arms of Love, Are beneath, around, above;” gave me the courage to attempt and complete many elements. 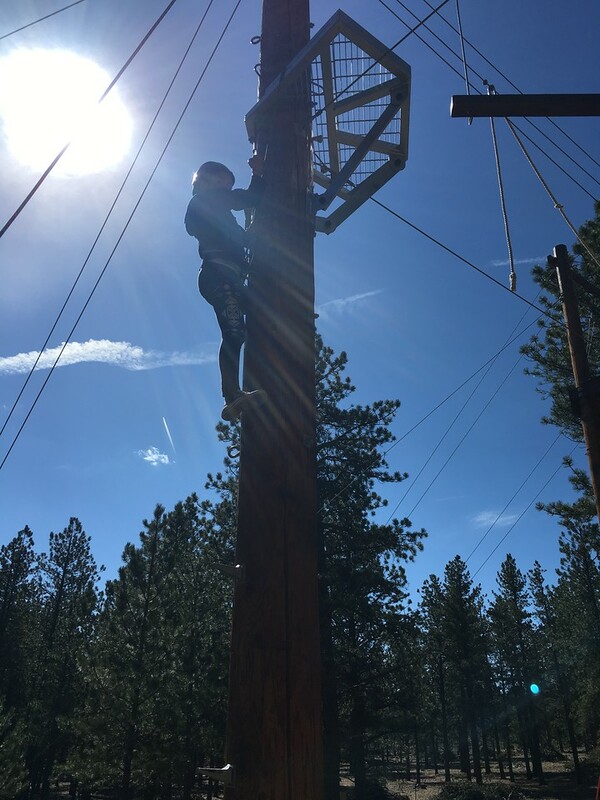 Our other son, who is afraid of heights, was the first to volunteer to climb the pole. His eagerness showed his comfort to participate and “climb with joy, the heights of Mind…” (Hymn 136). We both felt the comfort of God beneath us. Our daughter came with us to the course, but she was uncharacteristically obstinate and disgruntled. Typically we would have interceded and tried to encourage her. This time we did not. We told her we were going to go participate, and she could stay in the safe area and not impede anyone. So we left her in the safe zone and went on to embrace our challenge. She witnessed everyone having a good time, specifically one of her brothers. She routinely talks about God being with her, and we confirm that God is always there with her at every moment. A short while later, we saw our daughter making her way to the beginning of the course and starting the first element with the staff’s awareness. She completed several components with joy and concentration. She even went on to exit the course using the zip line, which she witnessed her brother relish. Standing back watching, my husband and I encouraged and cheered for our daughter. We were so grateful to see her change in attitude and her competency and joy in conquering the high elements. When she came down, she told me she heard God talk to her. She said God told her not to be fearful and that He would be with her all through the course just like in the hymn. We were so pleased. This is the first time she told us she heard God directly. Her God-given intelligence heard Divine Mind telling her she could go forward, fearless, joyful and complete. It was gratifying to hear of her complete communication…God to man. We were so excited that the supportive environment at RVRN’s event provided the opportunity to let this experience unfold. There was no pressure, no pushing, no cajoling, and no questioning. This was the quiet moment when she heard the still small voice. It was an event we will not forget! God’s child going forward fearless, joyful and complete.